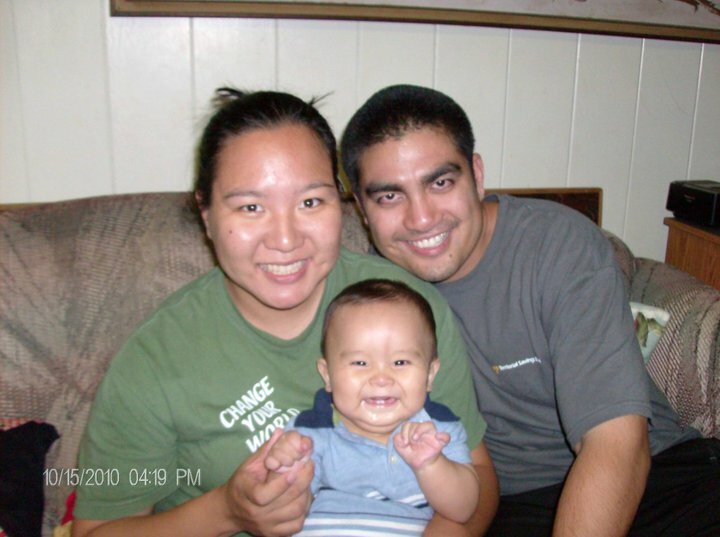 A Maui Mommy: BJ and I are BACK! BJ and I are BACK! Have you ever had one of those months? The type of month where you just felt so overwhelmed with everything and things just came to a crashing halt? I had one of those months this September/October. With grading and homecoming at school, a new boss, and an exciting possibility for an investment that I can't talk any more about until it actually happens, I have been so overwhelmed. I realize that is no excuse and I am TRULY sorry... especially to my fellow bloggers out there who I have gotten close to. This made me realize people actually read my blog! I am so sorry to everyone and will definitely catch up and continue on with writing about BJ! We've also been having to deal with BJ's teething. He has SIX teeth and he's only 7 months old; two bottom teeth and four top teeth. His top four teeth all came in at once! Poor guy. He's been handling it quite well, though. It's kind of funny... his face is changing! hehe, i was wondering where you were! wow, that's a lot of teeth!!!! he's such a cutie pie. 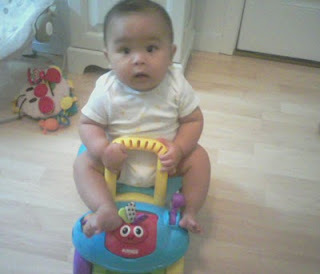 we had that same toy for caleb...he never got the hang of riding it, but loved to push it around! glad you're back! i know what you mean about not having enough time in the day...especially teaching!!! OF COURSE people read your blog! glad your back...and the baby has gotten so BIG!! I HATE the overwhelmed feeling!! I just love the family shot!! It's a wonderful picture!! !